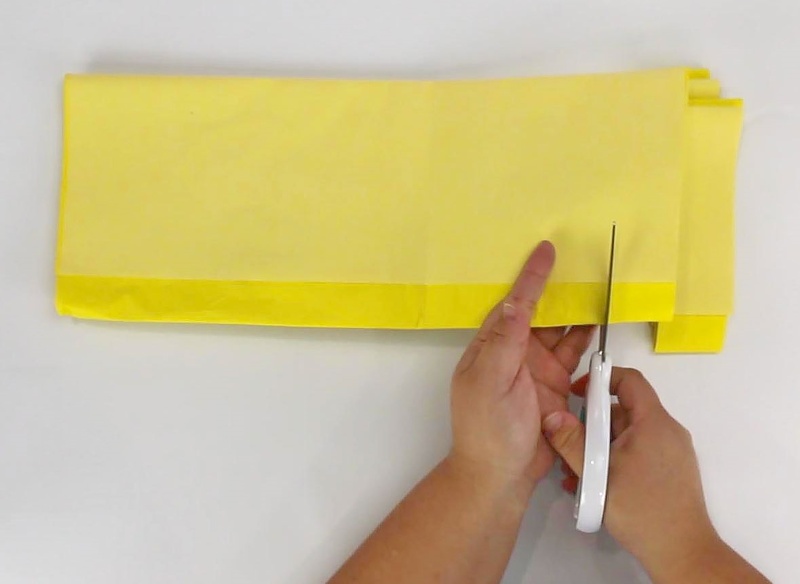 Cut yellow tissue paper into strips. 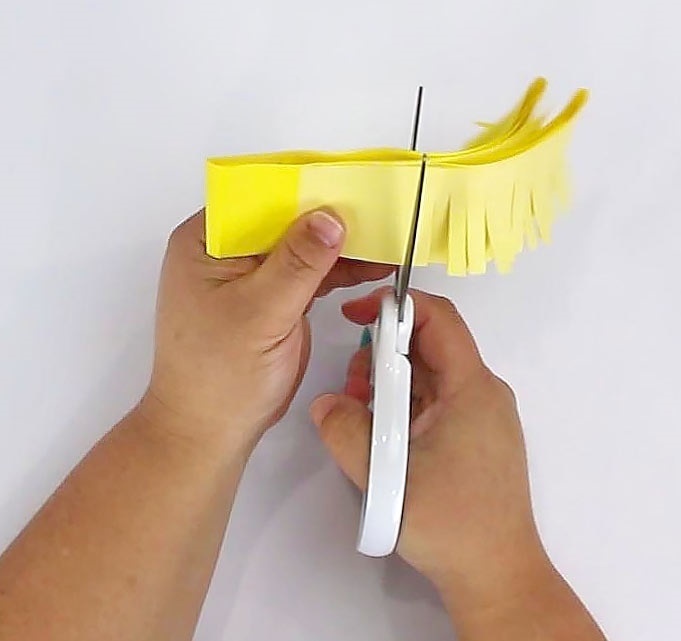 Cut tissue paper strips into fringe. 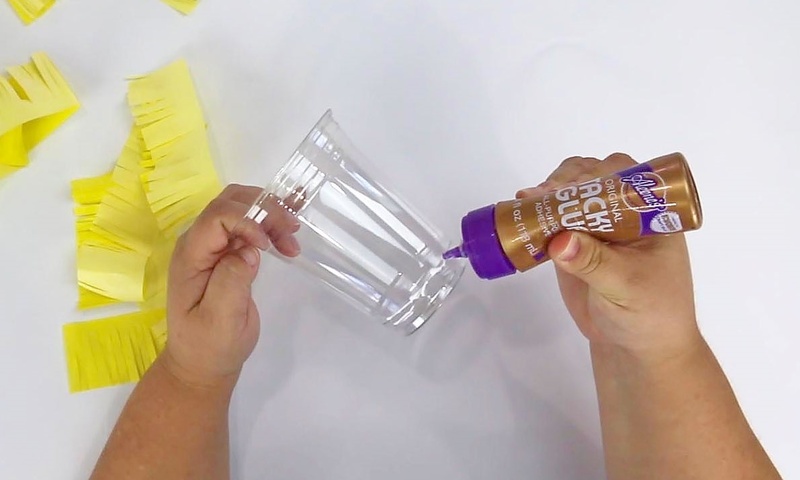 Apply Aleene's Tacky Glue to a clear plastic cup. 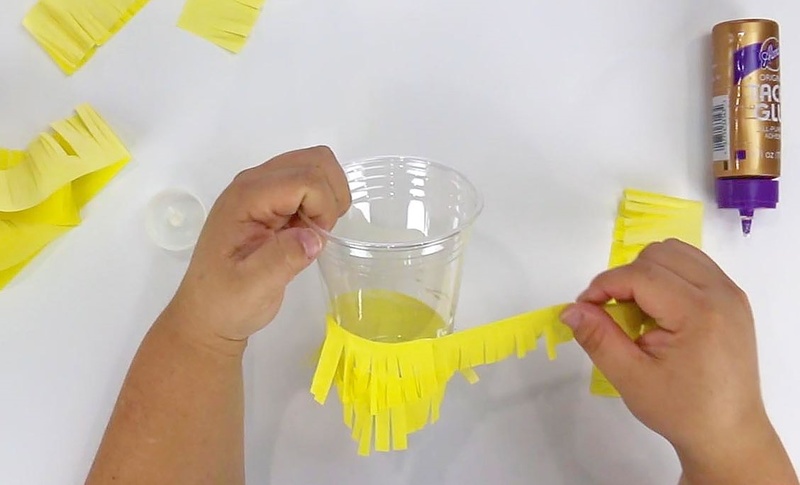 Wrap tissue paper fringe around the cup, starting from the bottom to the top. 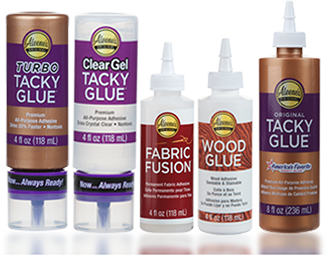 Apply more Aleene's Tacky Glue as needed. 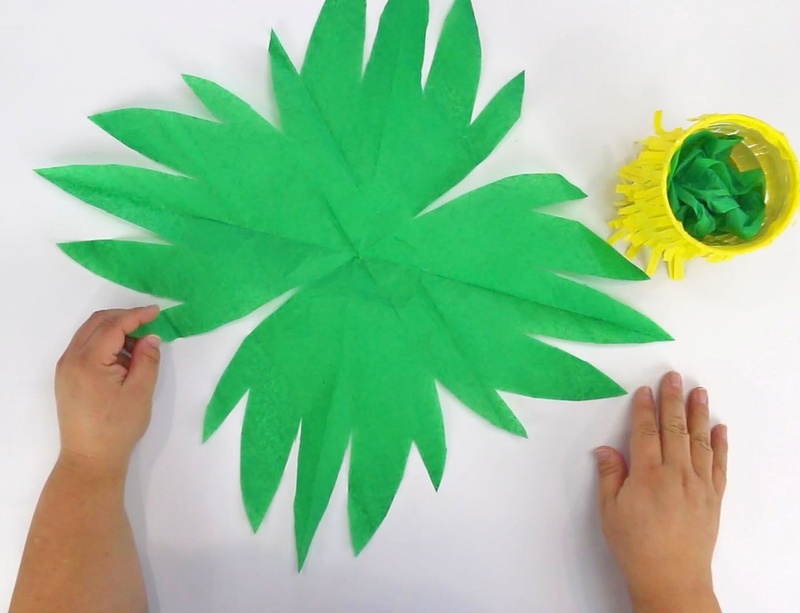 Fold green tissue paper in quarters. 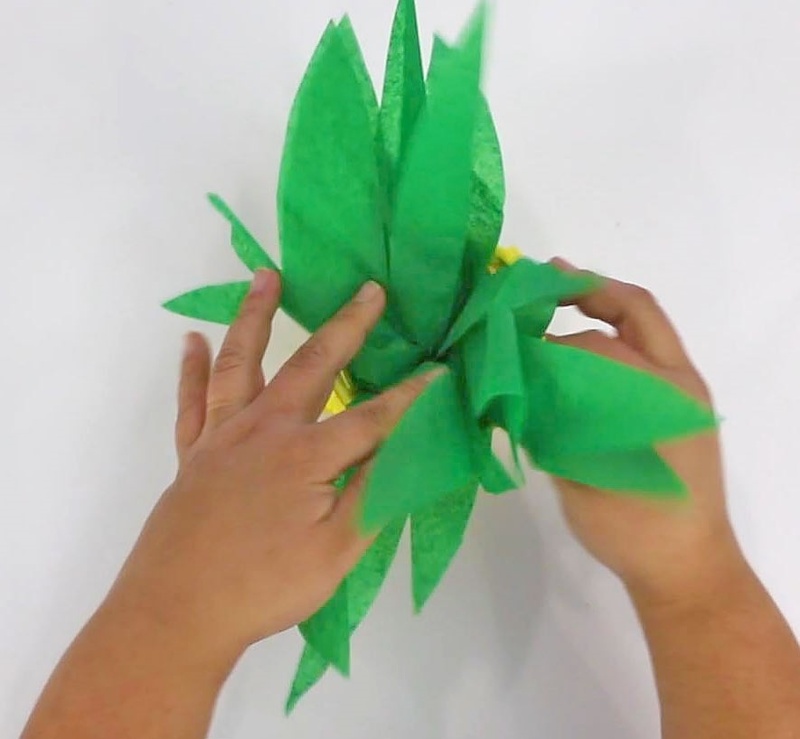 Folded size should be about 8' x 10". 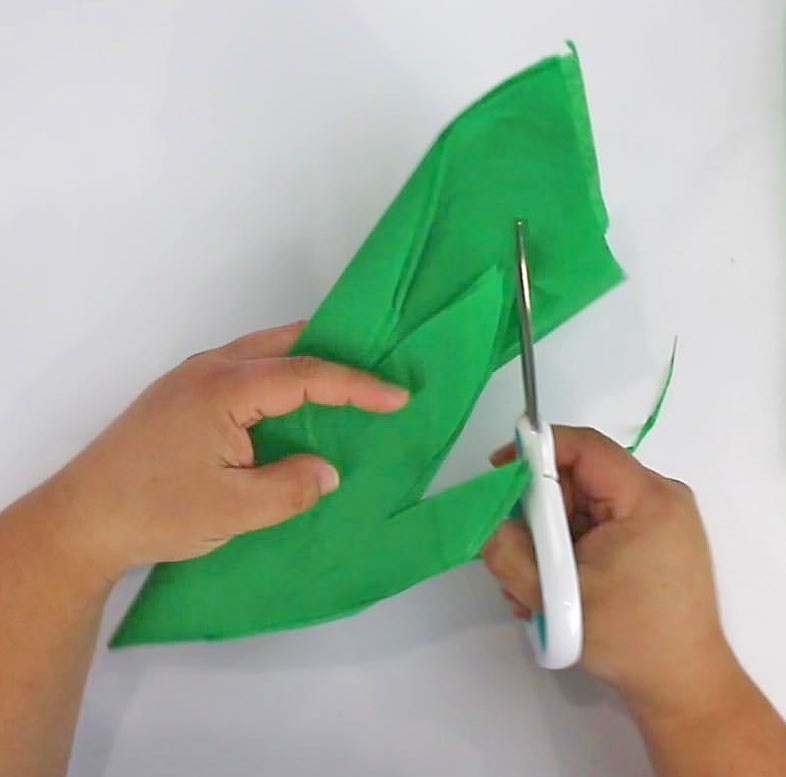 Cut a leaf shape from the folded tissue paper, staying away from the folds. 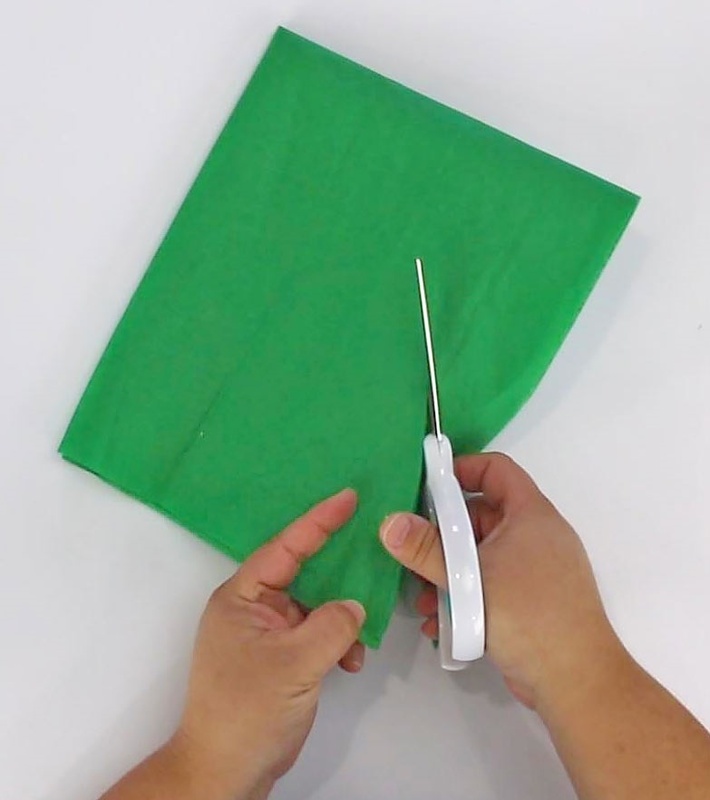 Press the pinched part of the tissue paper into the top of the cup. 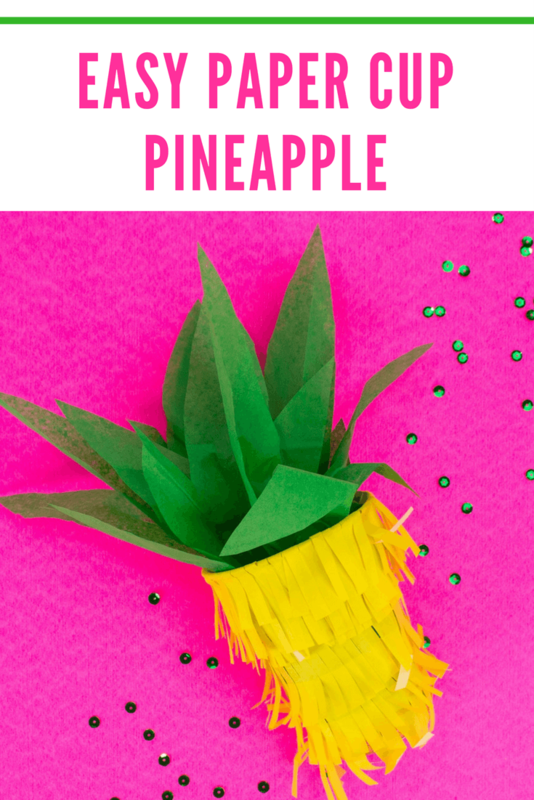 Fluff the leaves.